The international tour of hit musical “The Lion King” in Korea will continue until May 26, extending the initial schedule by a week. According to local promoters of the show, the tour in Busan that was slated from April 11 to May 20 will be extended for a week at the Busan Dream Theater. The tour is currently in Seoul, with its final performance in the city on Thursday. Tickets for May 21-26 performances in Busan will open at 2 p.m. on April 3 on local online booking websites. “The Lion King” is a musical adaptation of the 1994 Disney animation film of the same name, featuring the story of a young lion cub who endures trauma and matures to become the true ruler of the animal kingdom. The international tour that kicked off in November marks the first time the musical is being performed in Korea in the original language. The musical is 150 minutes long with an intermission, and is available to those aged 6 and older. 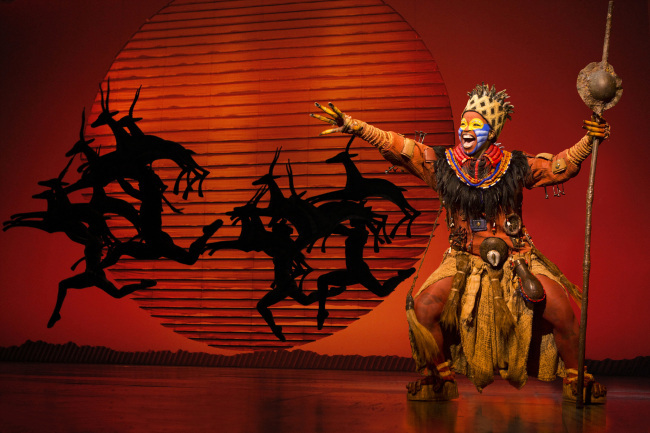 For more information on the musical in Korean or English, visit www.thelionking.co.kr.